The Sunday bird walk went to the Nanaimo River Estuary in south Nanaimo. The morning started out sunny and warm but we finished the walk early when heavy rain started falling. We spotted seven Pectoral Sandpipers feeding on the gravel bar not far from the parking area. Four Sandhill Cranes flew in low above us and landed in the grassy area towards Holden Creek. A small flock of American Pipits flew over us as they headed towards Holden Creek. Great Blue Heron, Sandhill Cranes, Green-winged Teal, Common Merganser, Belted Kingfisher, European Starling, Bald Eagle, Cooper’s Hawk, Northern Harrier, Pectoral Sandpiper, American Pipits, Glaucous-winged Gull, Northern Flicker, American Robin, Cedar Waxwing, Northwestern Crow, Common Raven, Brewer’s Blackbird, Spotted Towhee, Song Sparrow, Golden-crowned Sparrow, White-crowned Sparrow, Savannah Sparrow, Fox Sparrow, American Goldfinch, Purple Finch and House Finch. 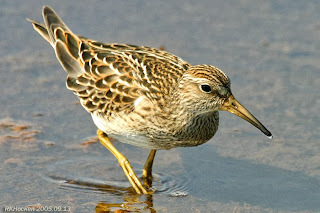 Pectoral Sandpiper: Ralph Hocken Photo. A Townsend’s Warbler was seen in with ten Yellow-rumped Warblers at the Morningstar Ponds in French Creek. A Wilson’s Snipe was spotted in a backyard at Craig Bay in Parksville. A flock of nine Sandhill Cranes were seen flying over the Englishman River in Parksville. The Tuesday bird walk went to the Shelly Road side of the Englishman River Estuary in Parksville. The morning started out cloudy with light rain but ended with a little bit of sunshine and no rain. Throughout the morning we saw and heard a large number of American Robins and Northern Flickers. 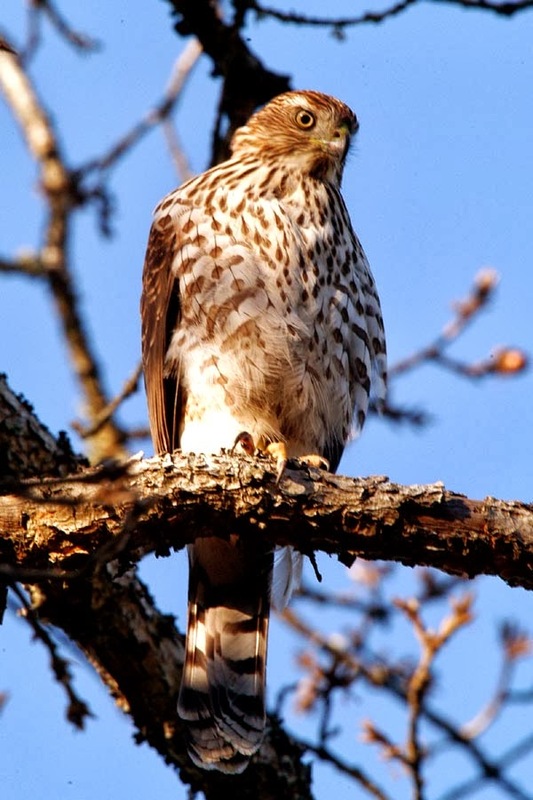 We spotted a pair of Cooper’s Hawks perched side by side on a snag across the river. Many Pacific Loons and a few Common Murre were seen flying low just above the water heading down the Strait of Georgia. A Savannah Sparrow was perched on a low bush in the meadows giving us great looks. We watched as nine Turkey Vultures were catching a thermo and heading down the island. Cooper’s Hawk; Ralph Hocken Photo. A Blue-footed Booby was seen and photographed near Telegraph Cove off Stubbs Island. A Common Tern was spotted at Columbia Beach. A Wilson’s Snipe and an American Tree Sparrow were seen at the Nanaimo River Estuary in south Nanaimo. A Lapland Longspur was seen near College Drive at Fifth Street and Highway 19 in Nanaimo. A Great Egret was seen from the Viewing Platform at the Nanaimo River Estuary in south Nanaimo. The Tuesday bird walk on October 01 will be going to Rathtrevor Provincial Park. Meet at the Parksville Community Park at the parking lot near the Lions Club playground at 9:00 am or the main parking area at Rathtrevor Park at about 9:10 am. The Sunday Bird Walk on October 06 will be going to the Buttertubs Marsh in Nanaimo. Meet at the birdstore at 9:00 am or at the parking lot off Bowen Road on Buttertubs Drive at about 9:15 am. A BLUE-FOOTED BOOBY was photographed near Telegraph Cove off of Stubbs Island September 24. Canada Geese, American Widgeon, Mallard, Northern Pintail, Green-winged Teal, Surf Scoter, White-winged Scoter, Horned Grebe,Red-necked Grebe, Common Merganser, Red-breasted Merganser, Pelagic Cormorant, Double-crested Cormorant, Common Loon, Pacific Loon, Common Murre, Great Blue Heron, Bald Eagle, Cooper’s Hawk, Turkey Vulture, Killdeer, Long-billed Dowitcher, Mew Gull, California Gull, Glaucous-winged Gull, Anna's Hummingbird, Belted Kingfisher, Northern Flicker, Northwestern Crow, Common Raven, Chestnut-backed Chickadee, Red-breasted Nuthatch, Bewick's Wren, Ruby-crowned Kinglet, American Robin, Cedar Waxwing, European Starling, Spotted Towhee, Savannah Sparrow , White-crowned Sparrow, Golden-crowned Sparrow, Dark-eyed Junco, Brewer's Blackbird, Red-winged Blackbird, Purple Finch , House Finch, Pine Siskin and American Goldfinch. Our thoughts are with you Katie. We look forward to seeing you soon. The Sunday bird walk went to the Little Qualicum River Estuary in Qualicum Beach. The morning started out with light rain but it soon turned to heavy and the walk ended early. The big highlight of the morning was the sighting of a flock of eleven Black Swifts at the end of the walk, flying overhead in the rain. Canada Goose, Mallard, Northern Pintails, Green-winged Teal, Surf Scoters, White-winged Scoters, Common Mergansers, Common Loons, a Pacific Loon, Red-necked Grebe, Pelagic Cormorant, Double-crested Cormorant, Great Blue Heron, Spotted Sandpiper, Bonaparte's Gull, Mew Gull, California Gull, Glaucous-winged Gull, Black Swifts, Northwestern Crow, Song Sparrow and House Sparrow. Parksville/Qualicum Beach Tuesday Bird Walk went to Columbia Beach. It was a beautiful fall morning with very little breeze. We spotted several Black Swifts flying overhead near the parking area. There were also several Great Blue Herons all along our beach walk this morning. Canada Goose, Mallard, Northern Pintail, Surf Scoter, White-winged Scoter, Common Merganser, Red-breasted Merganser, Green-winged Teal, Common Loon, Marbled Murrelet, Horned Grebe, Red-necked Grebe, Western Grebe, Double-crested Cormorant, Pelagic Cormorant, Great Blue Heron, Black Turnstone, Killdeer, Black Oystercatcher, Bonaparte's Gull, Mew Gull, California Gull, Glaucous-winged Gull, Ring-billed Gull, Western Gull, Belted Kingfisher, Black Swift, Northern Flicker, Northwestern Crow, Chestnut-backed Chickadee, American Robin, Spotted Towhee, Cedar Waxwing, Savannah Sparrow, White-crowned Sparrow, Purple Finch, Eurasian-collared Dove, Rock Pigeon and Anna's Hummingbird. 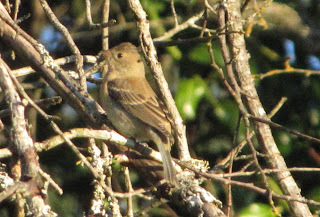 A Cassin’s Auklet, Lincoln’s Sparrows and American Pipits were seen at Pipers Lagoon in Nanaimo. A Red-breasted Sapsucker was spotted at Colliery Dam Park. A Black-backed Woodpecker was seen and heard on Cortes Island. The Tuesday bird walk on September 24 will be going to the Shelly Road side of the Englishman River Estuary in Parksville. Meet at Parksville Community Park at the Lions Playground parking lot at 9:00 am or at the end of Shelly Road on the ocean side of Highway 19A. at about 9:10 am. The Sunday Bird Walk on September 29 will be going to the Nanaimo River Estuary in south Nanaimo. Meet at the store at 9:00 am or at the end of Raines Road off Cedar Road at about 9:30 am. The September 17, 2013 Bird Walk went to Columbia Beach. It was a beautiful fall morning with very little breeze. We spotted several Black Swift flying overhead near the parking area. There were also several Great Blue Herons all along our beach walk this morning. 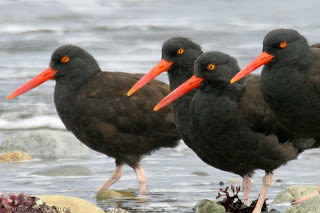 Black Oystercatchers: Ralph Hocken Photo. The Tuesday bird walk on September 17 will be going to the Shelly Road side of the Englishman River Estuary in Parksville. Meet at Parksville Community Park at the Lions Playground parking lot at 9:00 am or at the end of Shelly Road on the ocean side of Highway 19A. at about 9:10 am. The Sunday bird walk went to the Plummer Road side of the Englishman River Estuary in Parksville. The morning was foggy and cool with poor visibility over the water. Highlights included first of season Fox Sparrow and three Common Loons still in partial breeding plumage. Sixteen birders saw and heard the following twenty-eight species: Mallard, Green-winged Teal, Great-blue Heron, Glaucous-winged Gull, Merlin, Killdeer, Anna’s Hummingbird, Belted Kingfisher, Northern Flicker, Northwestern Crow, Common Raven, Chestnut-backed Chickadee, Red-necked Grebe, Gadwall, Harlequin Duck, Common Loon, Northern Pintail, Western Grebe, Bewick’s Wren, American Robin, Spotted Towhee, Fox Sparrow, Song Sparrow, White-crowned Sparrow, House Finch, Purple Finch, Lincoln’s Sparrow, Brewer’s Blackbird. 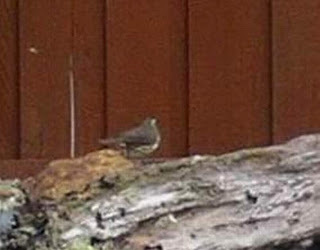 An AMERICAN PIPIT was seen on Hodges Road in French Creek. A NORTHERN WATERTHRUSH was seen in the mud pond by the parking lot at Neck Point Park in Nanaimo. 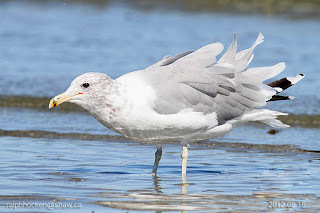 An adult WESTERN GULL was seen at the Englishman River Estuary. An early LONG-TAILED DUCK was seen offshore in Lantzville. The Tuesday Bird Walk went to Little Qualicum River Estuary. The morning was sunny, calm, and warm. We were rewarded with the sighting of a Western Grebe at the Viewing Station. At the Estuary we watched as a Northern Harrier searched the grasses for food. A few other highlights of the morning were the sighting of both Common and Caspian Terns, as well as a Wandering Tattler. Canada Goose, Mallard, Northern Pintail, Black Scoter, White-winged Scoter, Common Merganser, Common Loon, Pacific Loon, Common Murre, Horned Grebe, Red-necked Grebe, Western Grebe, Double-crested Cormorant, Great Blue Heron, Spotted Sandpiper, Western Sandpiper, Least Sandpiper, Wandering Tattler, Black Turnstone, Killdeer, Bonaparte's Gull, Mew Gull, California Gull, Glaucous-winged Gull, Ring-billed Gull, Belted Kingfisher, Common Tern, Caspian Tern, Turkey Vulture, Bald Eagle, Northern Harrier, Cooper's Hawk, Northern Flicker, Northwestern Crow, Common Raven, Chestnut-backed Chickadee, Red-breasted Nuthatch, European Starling, Song Sparrow, Savannah Sparrow, House Finch, Barn Swallow, Eurasian-collared Dove and Rock Pigeon. Two SABINE’S GULLS were seen at Deep Bay with 1 PARASITIC JAEGER. Three more SABINE’S GULLS and 2 PARASITIC JAEGERs were seen offshore at Nile Creek north of Qualicum. A first of season FOX SPARROW was seen at Holden Creek. A BUFF-BREASTED SANDPIPER was seen at French Creek. Two STILT SANDPIPERs were seen in the mudflats at the Englishman River Estuary, Plummer Road side in Parksville. 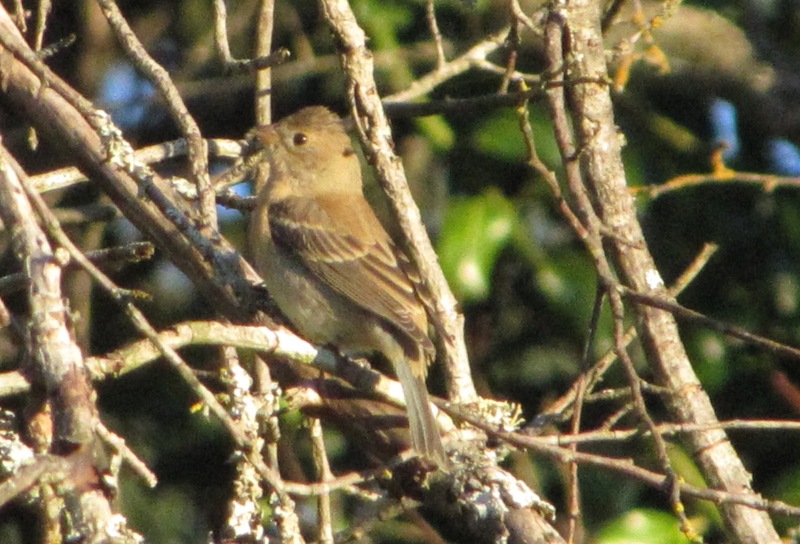 A first year LAZULI BUNTING was spotted at Robins Park on Fifth and Park Ave in Nanaimo. The bird was seen along the edge of the Cat Stream. Four SANDHILL CRANEs were seen flying over the south end of Gabriola Island. 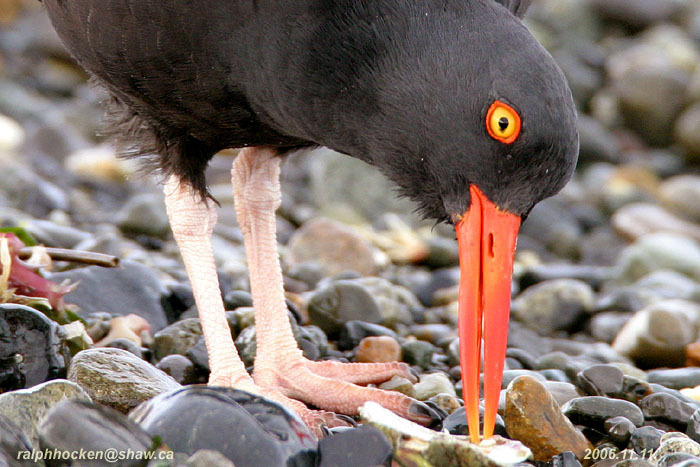 The Tuesday bird walk on September 17th will be going to Columbia Beach. Meet at Parksville Community Park at the Lions Playground parking lot at 9:00 am or at the parking area off Admiral Tryon Blvd. at about 9:15 am. 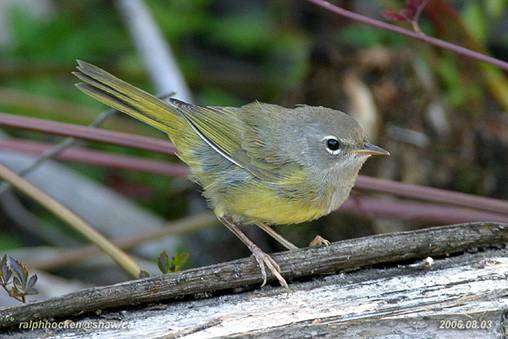 The Sunday Bird Walk on September 22nd will be going to the Little Qualicum River Estuary. Meet at the store at 9:00 am or at the Brant viewing platform on Highway 19a near Garret Road at 9:30 am. We will then proceed to the old A-frame house at the Estuary. - Tuesday bird walk highlights: Wandering Tattler, Caspian and Common Tern, seen at the Little Qualicum River Estuary. - Western Grebe was seen at the viewing stand at the north end of Qualicum Beach. - 2-Stilt Sandpipers were seen on the mud flats at Englishman River Estuary on Monday Sept 9. - American Pipit and Ring-necked Pheasant were seen on Hodges road in French Creek on Wednesday Sept 11. Fall migration is busy and a great time to check out the water birds. NORTHERN WATERTHRUSH was seen at Neck Point park, beside the pond next to the parking lot. RED-THROATED LOON was seen of the end of Entwhistle drive , Nanaimo. WESTERN GULL was seen at the mouth of the Englishman River Estuary. The September 10, 2013 Bird Walk went to Little Qualicum River Estuary. The morning was sunny, calm, and warm. We were rewarded with the sighting of a Western Grebe at the Viewing Station. At the Estuary we watched as a Northern Harrier searched the grasses for food. A few other highlights of the morning were the sighting of both Common and Caspian Terns, as well as a Wandering Tattler. 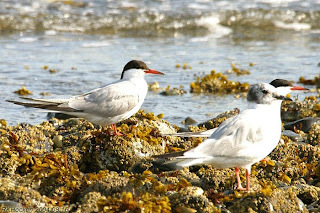 Common Terns & Bonaparte's Gull: Ralph Hocken Photo. The Tuesday bird walk on September 17 will be going to Columbia Beach. Meet at Parksville Community Park at the Lions Playground parking lot at 9:00 am or at the parking area off Admiral Tryon Blvd. at about 9:15 am. A Buff-breasted Sandpiper was seen near Hodge’s Road in French Creek. Buff-breasted Sandpiper: John Purves Photo. Peregrine Falcon, Purple Martins and Northern Rough-winged Swallows were seen off of Hodge’s Road in French Creek. 6 Red-neck Phalaropes were seen flying over the mud flats of the Englishman River Estuary in Parksville. “RARE BIRD” A Northern Waterthrush was observed for ten minutes at the pond and water fountain in a backyard on Meridian way in Parksville. Great Horned Owl was seen and heard by the Pleasant Valley school near Doumont road in Nanaimo. The September 3, 2013 Bird Walk went to Plummer Road. The morning started out with light rain and got heavy enough to keep the optics wet and fogged. Fortunately it cleared somewhat before the walk ended. Even with the damp weather we were rewarded with some great sightings of migrating birds. One of the highlights were several Lincoln Sparrows seen throughout the walk. A Merlin perched long enough for some great views and 3 Bonaparte's Gull were seen flying over the ocean side. We were also treated to two Western Tanager's feeding in the bushes. Lesser Yellowlegs, Western Sandpiper, Least Sandpiper, Bonaparte's Gull, California Gull, Glaucous-winged Gull, Belted Kingfisher, Merlin, Northern Flicker, Northwestern Crow, Chestnut-backed Chickadee, Bewick's Wren, Pacific Wren, Spotted Towhee, Song Sparrow, Chipping Sparrow, Lincoln's Sparrow, Savannah Sparrow, Warbling Vireo, Hutton's Vireo, Orange-crowned Warbler, Yellow Warbler, Common Yellowthroat, Willow Flycatcher, Olive-sided Flycatcher, Western Tanager, Cedar Waxwing, American Robin, European Starling, Brown-headed Cowbird, Purple Finch, House Finch. Lincoln’s Sparrow: John Purves Photo. 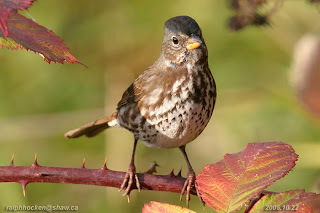 The Tuesday bird walk on September 10 will be going to The Little Qualicum River Estuary in Qualicum Beach – meet at the Viewing Platform near Garrett Road and Highway 19a at about 9:20 a.m. ( if the viewing platform is closed go to the parking area near the “A” Frame house at the Estuary. 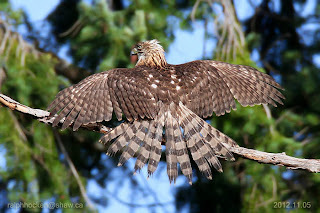 The Sunday Bird Walk on September 15 will be going to the Englishman River Estuary, the Plummer road side. Meet at the store at 9:00 am or at the estuary at 9:20. 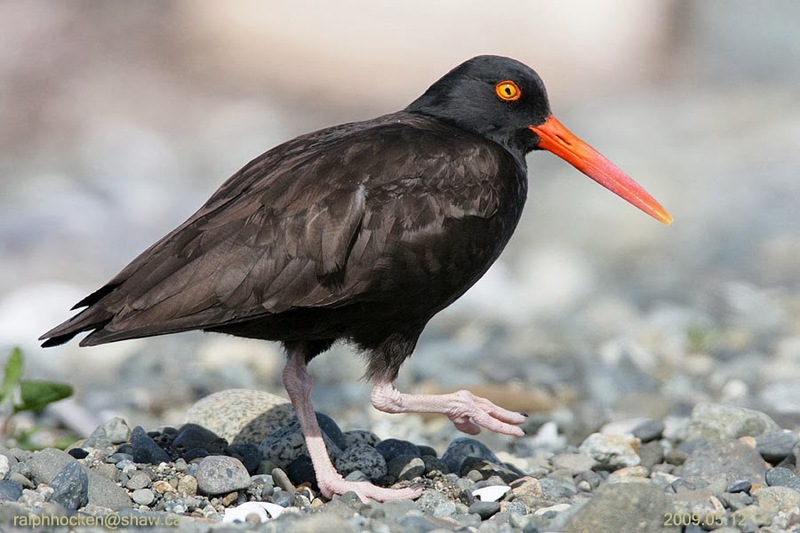 Tuesday bird walk--September 10-The Little Qualicum River Estuary in Qualicum Beach – meet at the Viewing Platform near Garrett Road and Highway 19a at about 9:20 a.m. ( if the viewing platform is closed go to the parking area near the “A” Frame house at the Estuary.